June 8th, 1933- September 4th, 2014. 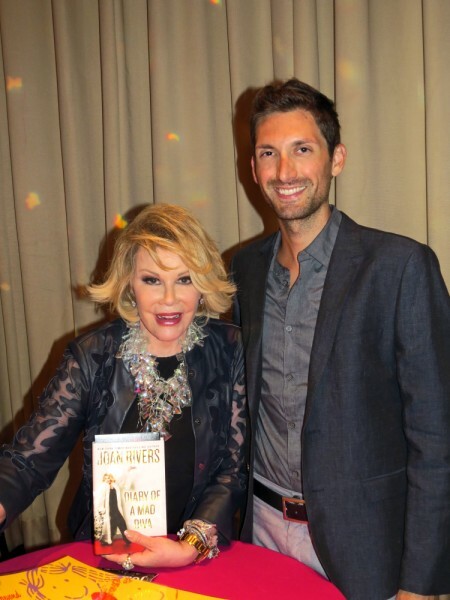 While it may have been just a short time I knew her, my few interactions with the great Joan Rivers were pleasant and memorable ones. 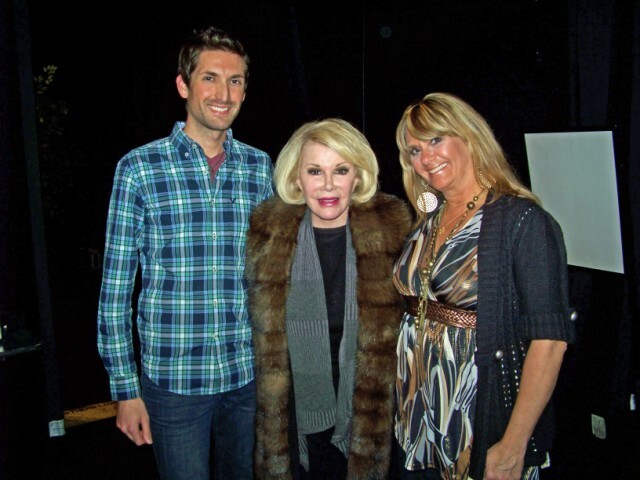 I recall the very first time that I interviewed Joan for Showbiz Deluxe in the winter of 2012. I had tried for a year or so before that to secure an interview but was unsuccessful. After prayer and persistent communication with Joan’s longtime publicist Judy Katz, I finally landed my interview! As expected, it was one of the most entertaining and exciting interviews that I’ve done. Upon the sad news of Joan’s passing earlier today, it is one that I will treasure forever. 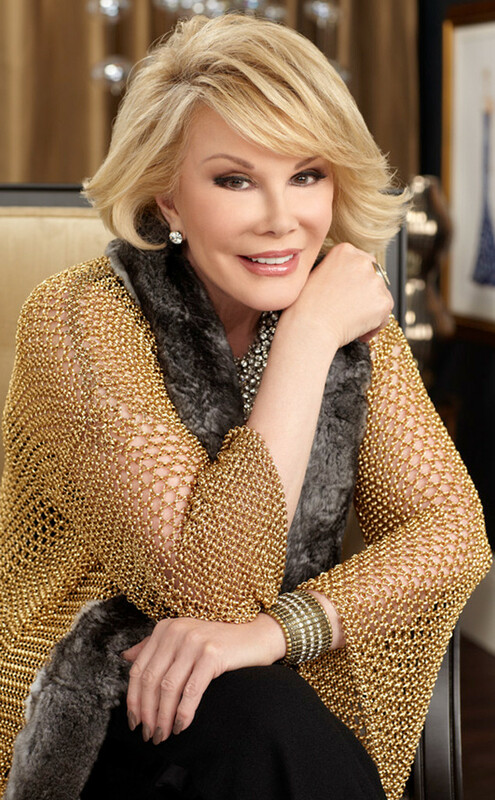 Joan River’s career fascinated me…. her boundless energy, determination to stay current and work ethic is something I don’t think we’ll ever see again in this lifetime. Back to the interview; shortly after completing my interview with Joan, I discovered that the audio had not recorded properly and the entire interview was ruined. I was totally shocked and disappointed. Feeling quite embarrassed, I called up Judy and told her what happened, rather than shutting us out or refusing to assist our mishap, Judy kindly rescheduled ANOTHER interview into Joan’s already hectic schedule just for us. I couldn’t believe it, surely did not expect it and I am very appreciative to this day that Judy and Joan were kind enough to do that for me when they didn’t have to. It goes to show you how forthright, understanding and professional they were and are. Shortly after the interview, I took my mother to see Joan Rivers’s standup show on Thursday March 1st 2012 at the Potawatomi Casino’s Northern Lights Theater in Milwaukee, Wisconsin. 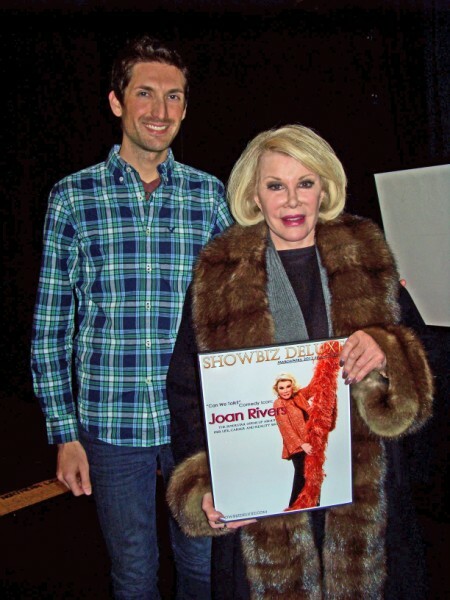 After the show, I presented Joan with her Showbiz Deluxe cover story and she was as kind, genuine and appreciative as could be. I will never forget her disbelief that the woman with me was my mother, (laughs) it was so funny to see Joan’s reaction and my mother’s smile toward the sweet compliment. Obviously I did not expect that and it was very sweet of Joan to say…after the interview, she thanked me for a second time. “I even tried one of the soaps last night and they were lovely. Thank you and we’re smelling the candle…. It’s a very pretty candle, where’d you get it? Really pretty, I love the case! Thank you SO much, a pleasure talking to you.” For Joan to take the time to personally thank me proves how professional and genuine of a star she truly was. 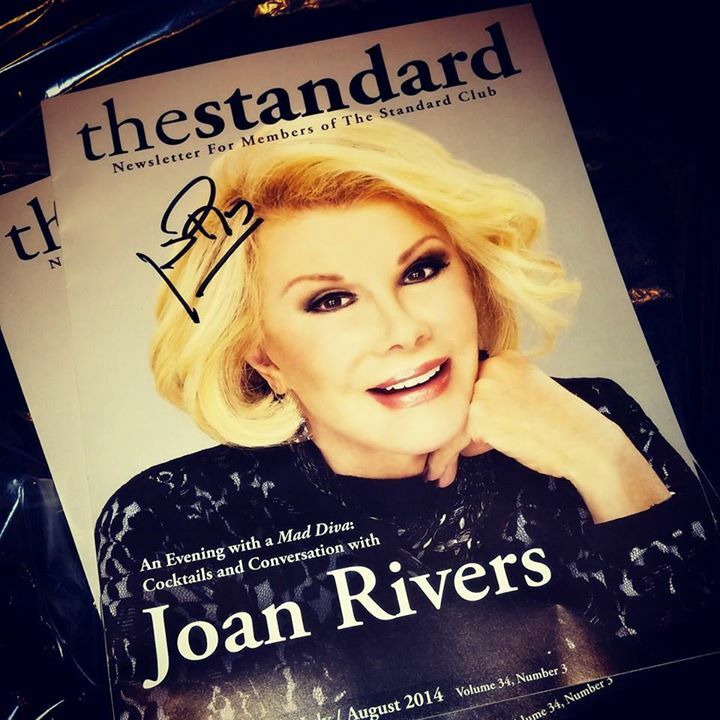 This past summer, I had the great pleasure of attending Joan’s book reception at the Standard Club in Chicago on July 22nd, 2014. I had a front row seat, got to ask Joan a question during the Q&A about her trip to Rome with grandson Cooper for “Grandma Week” that she took just the week before. Without any hesitation, she immediately answered the question and during the short time she talked about her grandson, she was glowing and smiling! After the Q&A, Joan met with EVERY person who bought a ticket to the event. 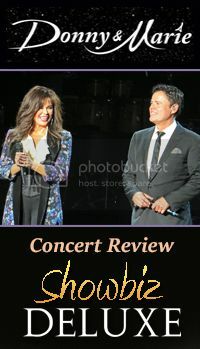 When it came time for me to get up onstage, Joan’s assistant Graham kindly introduced me from Showbiz Deluxe to jog Joan’s memory from the time we interviewed and met a few years before. She really seemed to remember me and signed the picture of us from our first meeting. 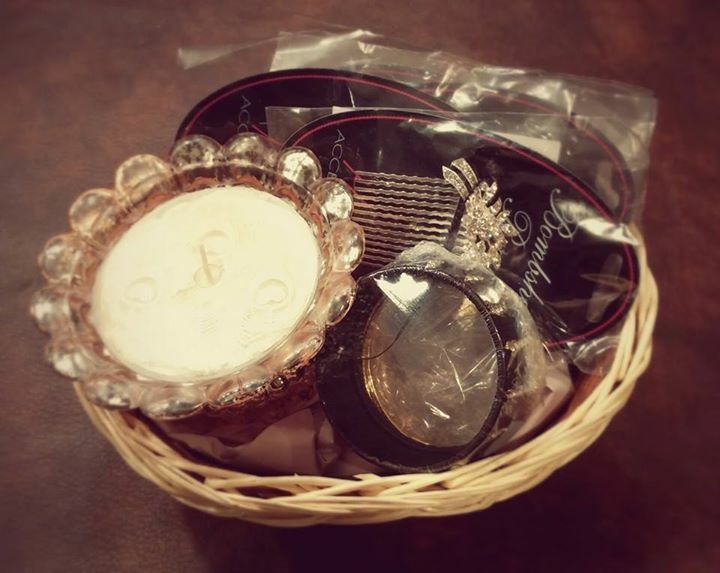 We made small talk and she loved the gift basket that I brought her; it was a nice gold glass encased candle from Pier 1, some rhinestone embezzled hair barrettes from my friend’s business Bombshell Beauty and some gold and black bangles. Again Joan thanked me and told me how much she loved the gifts and would even give some of the hair jewelry to her daughter Melissa. In closing, my last and final memory of Joan Rivers is how BIG her heart was, how much she genuinely loved to help the less fortunate and make a positive difference in any way that she possibly could. I know that our works alone cannot save us, but in my heart, I believe that Joan loved her family, loved her friends and knew God and loved Him too. Long story short, September is Craniofacial Acceptance Month, and I wanted to get the celebrities that I know on board to help raise awareness for the cause. Our friends over at CCA, Children’s Craniofacial Association run a wonderful organization that addresses the medical, financial, psychosocial, emotional, and educational concerns relating to craniofacial conditions. So, I approached Joan with the CCA poster that night of the book signing, briefly explained to her my request and without even flinching, she said, “YES!, I would love to! !” Joan wanted to know all about CCA, what they do and how she could help. She said that she would do anything for the kids, and wanted to get on board, she wanted to be involved. I knew that her interest was authentic, and funny enough, as I was walking away so the other guests could meet Joan, she continued to talk to me about CCA, what she could do to help and that we would talk more about it next time. What a sweet, sweet woman. What a caring individual to offer such involvement even though her hectic life would only allow so much to fit in it! We planned to release the photo of Joan with the CCA poster on September 1st to highlight her kindness and kick off Craniofacial Acceptance Month. Upon hearing of the terrible and tragic news that Joan had been rushed to the hospital, I told CCA that I did not want to post the photo out of respect for Joan and we mutually agreed. On the day of her departure from this earth and entrance into the next, I want to release this photo as a tribute to Joan. To show all her fans, friends, colleagues, family and anyone else who was touched by her life how kind she was to me and the CCA. Joan may have not been able to help the CCA due to unfortunate circumstance, but what I wrote and what you will see in these photos speak more and mean more than any personal involvement or money could ever have. It is very hard to accept death, and in this society, the nature of our culture encourages us to idolize celebrities by placing them on a pedestal. All that does is immortalize them making it harder to say goodbye or accept the fact that they too will eventually die one day. We know that life does not end here; rather the day of our death on earth is just the beginning of the next chapter. During this time, I unite myself among millions of other fans and friends in the world who were touched by Joan to pray for her daughter Melissa and grandson Cooper who are dealing with the shock, pain and loss of their beloved family member. I also pray for Joan's staff and those who knew her best... may our thoughts and prayers comfort them during this very difficult time. Thank you Joan Rivers for making us laugh, thank you for making us smile, thank you for taking our mind off of pain or life’s troubles if only for just a little while. May you rest in peace, may your soul find happiness in the Eternal Kingdom.